What a lovely way to spend a weekend! 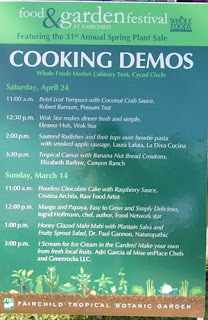 I was invited to give a cooking demonstration and blog about Fairchild Garden’s 2nd Annual Food and Garden Festival. 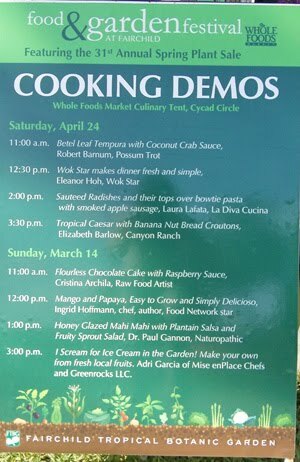 Schedule included a wide variety of cooking demos. Banana nut cake for Ralph from Native Conch. By the time I got there, nothing was left in the way of savory food! I hope you’ll make it to this event next year, it was a lot of fun meeting people who also enjoy fresh local produce and getting to know the farmers. In the meantime, I encourage you to shop at your organic and farmer’s market or visit Redlands if you live in Miami before it gets too hot! My post on Seasonal Foods has lots of meal ideas and tips. Nothing excites me more than seeing and smelling beautiful, fresh produce. I was a bit upset I didn’t end up buying any produce because I’d just given a cooking class and always have leftovers. My parents went through a war so we were always taught never to waste food. It drove me crazy to see all the food and not get any. Selection of colorful and interesting combination of teas! There was a lovely variety of farm produce. I will be posting a series since there is so much to share. This first one will give you a little peak. I had one of Gaby’s Tropical Ice, cold, yummy and creamy mango. She grows her own fruit to make these desserts! What I love about giving live presentations is that it gives me a chance to interact with people. It’s a great way to find out the problems people have with stir frying in a wok! I prepped in Fairchild’s lovely kitchen and practiced what I preach, see the chopping board with grocery bag for the trimmings? Here’s swiss chard, red bell peppers, mustard greens, zucchini and carrots. My produce were generously sponsored by Whole Foods Market in Coral Gables. Shrimp were rinsed and dried with paper towels. A very important step, so you don’t dilute your marinade and also prevents your shrimp from getting tough and chewy. I didn’t realize my friend, Irene took this picture behind me. My demo was very well attended with over 60 signed up for my free newsletter, thank you for your interest! There were a lot of questions posed mostly by guys! Thanks to Fairchild staff and volunteers. See Peter Kastan’s Miami River Wall video who was a speaker at this event. Miami River Wall’s new living, hydroponic herb, chili, edible flower wall will be hosting a series of my Wok Star cooking class so I hope to see many of you there! 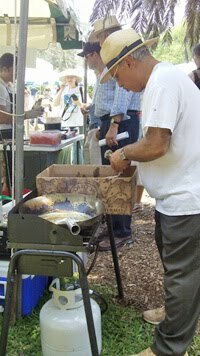 Hani Khouri cooking up a fresh batch of falafel. 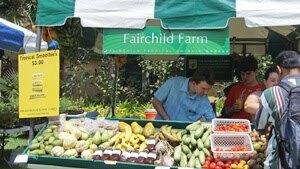 He was featured in Edible South Florida’s Spring Issue with his cute kid goats and online. Do subscribe or pick up your copy from your nearest Whole Foods Market. 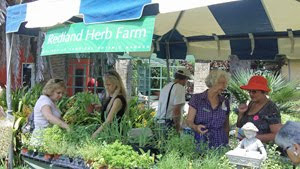 It’s full of stories, resources and has a calendar of all things edible and organic. Thanks for listing my cooking classes. Katie, Edible South Florida publisher/editor and Annie, Special Events, Fairchild Tropical. hummus wrap from Hani’s Organics. 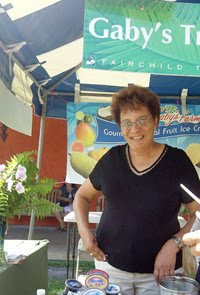 In an upcoming series, I’ll share a video of Food Network Celebrity Chef, Simply Delicioso Ingrid Hoffman making a fabulous mango and papaya dish as well as many more wonderful food stalls.